Despite that would be good for hardware issues discovery and solving, you can’t beat a test, rollback and also duplicate of disk of virtual machine services. For self app development purposes I see the later as much more valuable. Did you make a bug report for that? Once I swapped the wifi out in my AMD A4-5000 x140e it works great… it isn’t the fastest machine but I really like it. Note the wifi has to be swapped for a specific FRU 04W3814 and I had the best luck sourcing one from China actually the one from the USA on ebay sent me the wrong FRU… they refunded me at least. Note you also have to update the BIOS before installing the new card. Yep. It’s actually two bugs. Both devices seem like they should be supported (I’m guessing some sort of ID number changed). I don’t think I can swap out the Wi-Fi card. It’s been a while since I opened it, but I’m pretty sure it’s built onto the board. The system in question is a Kodlix N42-D. At some point I’d like to get Haiku installed and working on it. Preferably the builtin 32GB eMMC (which I know I can’t because the driver wasn’t finished). The screen resolution thing I have not written a bug against because I’m not sure where to start with it. It worked once, in theory it should work again. VMware Fusion for me is so much better with Retina display which has bad performance with VirtualBox. I haven’t got sound to work in Fusion (nor in Veertu). But Parallells has good performance and sound. I am thinking of buying it. I would like to try Boot Camp before that. Running natively (if my hardware is supported) is preferred. I have an Intel i7 (3.1 Ghz, with 16 GB RAM). But it runs slow (boots fast, network is fast, but moving windows is dog slow). 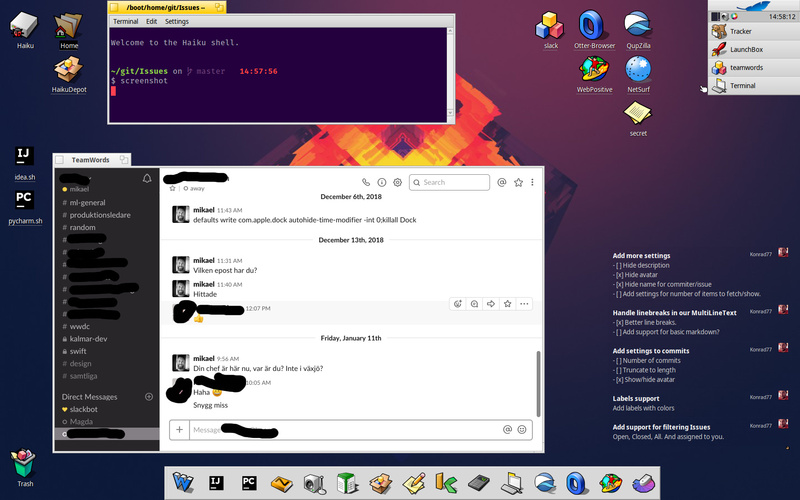 Qemu and Virtual Box that is. Veertu, Fusion and Parallels are all fast. I have used it in simple vmware player on windows and sometimes the mouse goes nutz (as in going to a screen corner and taking a while to work normally), and the performance is … OK. 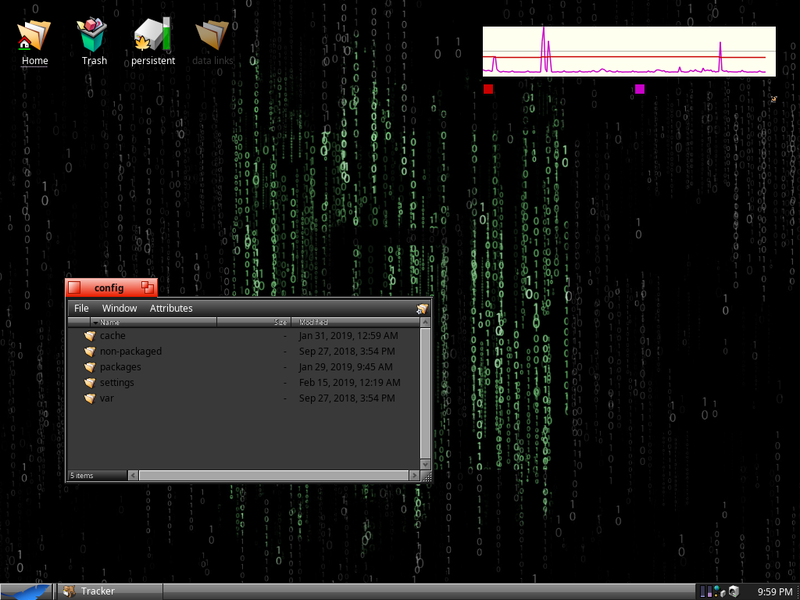 In a Linux environment with libvirt as a Qemu machine it works very well. But i normally just throw a ssh client connection to do work with the system. Since I don’t have much trouble with Haiku on my machines I don’t know what to report!? My current desk. Finally running Slack in Haiku (TeamWords). I have been really busy, but recently I had the time to install haiku on my computer. If you notice, it is running inside QEMU. this is because it does not recognize my laptop’s ethernet. So I have to run it in QEMU whenever I download something. I am slightly surprised that haiku doesn’t recognize my ethernet chip (realtek), because it is recognized by LinuxMint, OpenBSD, and 9front. however slackware doesn’t recognize it either. Similar to mine, except I make the text green. There were a few bugs fixed recently with dark themes. 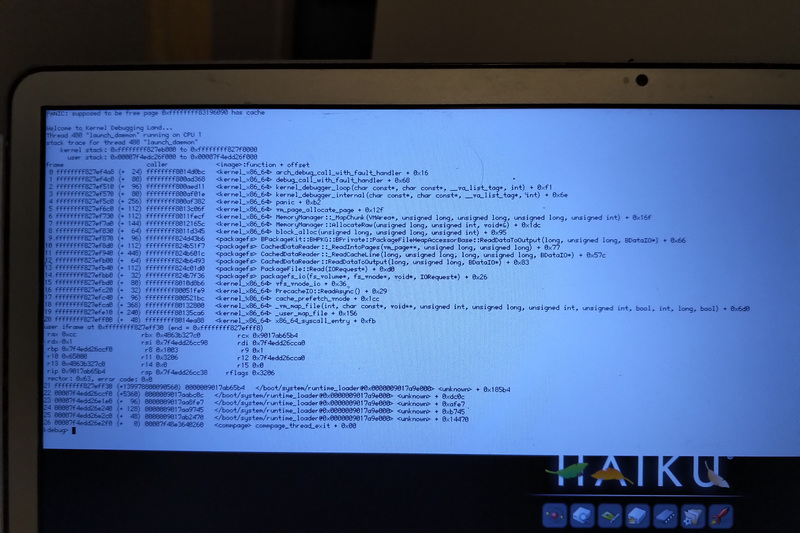 If your looking to run Haiku on actual hardware, your best of going with hardware that is known to work. 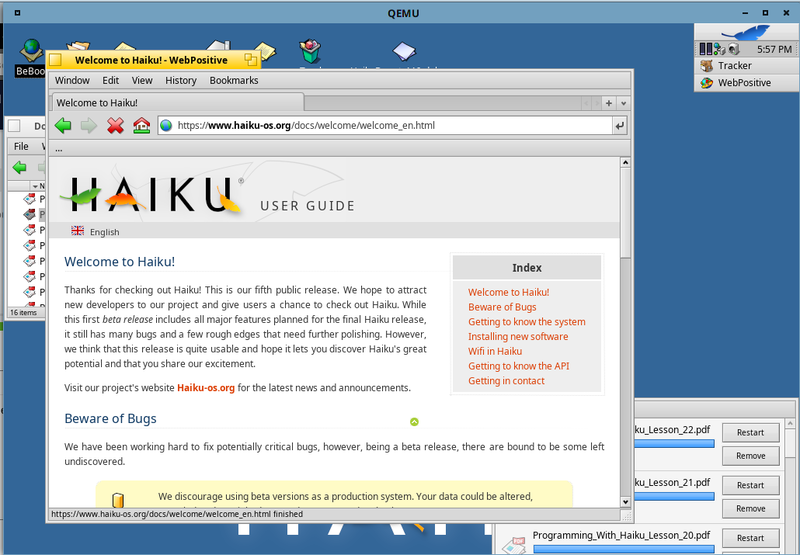 I think haiku hardware compatibility is actually rather very good. Boots perfectly on all boards I have lying around and sound works perfect on most of the soundblaster (augidy2 and younger) and even though I hate the vesa driver, I do acknowledge that’s this is how we have most VGA card compatibility. (Running a ATI x850 in my hàiku box as it had great compatibility with W98. At any rate, what I was trying to say was building a haiku box can be a lot of fun, selecting the parts that you know will work without issue allows you to enjoy the OS even more. Very happy with my dual opty 250 running on a tyan s2885 board. Here’s my screenshot of my current setup. 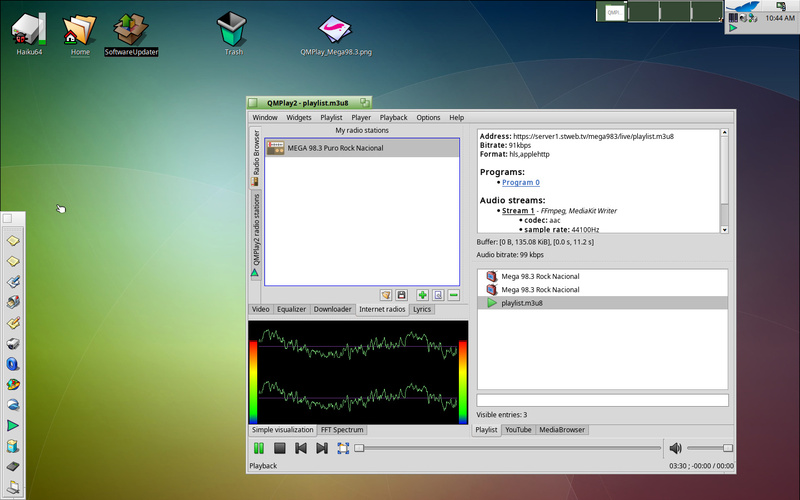 Using QMPlay2 to listen to a radio station stream. Uploading this one since my original one from last year seems borked.